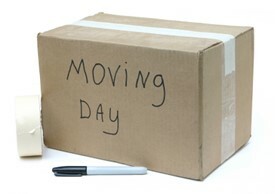 New webhosting for waldo’s blog – moving day! Some of you already noticed: if you go to www.waldo.be, you get a new look&feel for “waldo’s blog”. Well, not that I didn’t like my old blogging location. Really! I have been blogging at DUG from the start! From April 1st, almost 6 years ago (djeez .. I’m getting old). Not a single month did pass without one of more blogs.. . You don’t do that when you don’t like the platform. I would like to thank Erik Ernst (the DUG Godfather) from the bottom of my heart for having me there! You still didn’t say why? First of all controlling reasons. I wasn’t able to admin/control my blog when I wanted. I wanted to change themes, upgrade, change RSS stuff (I only get 15 items…), have a media library/downloads, easier posting including pictures, choose custom plugins whenever I want (like polls, …), … . Second was the software: I have a blog, and the number one blogging software (we all know) is WordPress. There is no secret there.. . Community server does his thing, but WordPress is just so much better. Although I must say, it definitely isn’t faster .. . Some of you have noticed that I have been posting on mibuso as well. That was more of a tryout for me. It got me to know WordPress, but I have the same “issues” (which is a far too harsh word for it) there: not admin, not control, .. (may be at that time “no knowledge..”). That makes it a third reason: blogging to two sites doesn’t make much sense. And then of course, there are other reasons: my layout was so bad that I got hate-mails from people (yes Kurt, you! 😉 ). Furthermore, don’t know if you noticed, but I used my domain name “waldo.be” and by URL forwarding attached it to my DUG blog. That didn’t work well .. You weren’t able to comment, log in or whatever.. . There are a few consequences though. This is the last post in Mibuso and DynamicsUser. You won’t get any updates anymore there. I have been thinking of still doing so, but in a way, that doesn’t make much sense, does it? So if you were “following” me through email, and you would still like to get mails from my posts, then I recommend to subscribe to my new blog .. There is something like this on my blog where you can do so.. If you did the same with RSS, there is a new RSS feed. I’m not completely satisfied yet with the blog though. Mainly with performance. So if you see the theme changing a couple of times (I think it’s due to performance, but I’m not sure) .. that’s probably the reason. I’m also searching for a way to get all my old posts into this blog. But that doesn’t seem to be so easy. I did an import of the RSS feed, but that only gives me 15 posts.. . I’m thinking of re-publishing the posts, or something like that. Anyway, my old blog(s) will be online for a while, I hope, so you can search for content there as well.. .
Really, any kind of freedback is appreciated. I made sure there is a contact form on the site, for you to give feedback as much as you like.